This is a 4-part series that chronicles iMoneza from the inception of the company to present day and offers a glimpse into the future. iMoneza’s mission is to offer a solution through which publishers are able to charge for quality content via micropayment or subscription. Additionally, we strive to give users a premium user experience making it easy to access paid content. 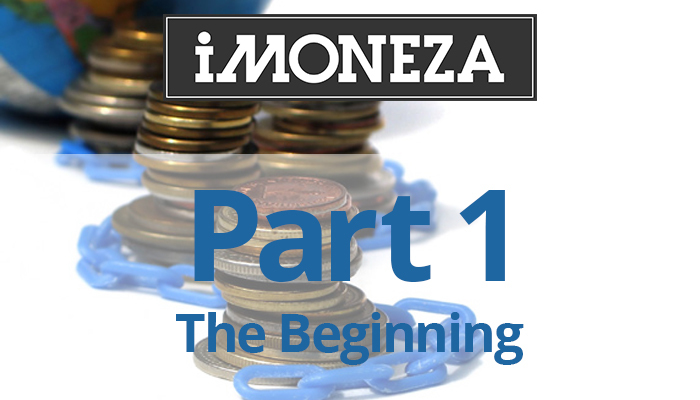 As with many companies, iMoneza was created to solve a problem. The problem that Mike Gehl, iMoneza founder, encountered seemed pretty straightforward. While visiting an unfamiliar city, he wanted to get a variety of restaurant reviews. However, after finding the right review, it became clear that the site wanted him to purchase a subscription in order to read the reviews. For a resident of that city, a subscription might make sense, but for someone passing through, hoping to read one, maybe two, reviews the cost is not justifiable. This got Mike thinking about a different way to transact. Could those reviews be sold individually for smaller sums of money, aka micropayments? And with that thought, iMoneza began to take shape. Let us be clear that Mike’s revelation was hardly the first time someone had the idea about micropayments. The idea that people would pay small sums for content on the internet is an idea that has its roots in the 1990s. In fact both IBM and Compaq began working on their own micropayment platforms in 1999. They were able to get some preliminary HTML standards, but that was about as far as it went. Many companies followed in the footsteps of IBM and Compaq. I could rattle off all the names, but it wouldn’t matter, none were successful. It is difficult to say exactly why they weren’t, but as more and more industries start using micropayment models, adoption appears to be inevitable. To fully understand the success or failure of micropayments, we need to define the term. For our purposes, a micropayment is anything under $1. Most internet financial transactions start at around $5+. The reason is because merchants that manage those transactions charge set fees that make it nearly impossible to sell a product or service for less. The seller might end up owing money when all is said and done. This is the primary hurdle to making micropayments a mainstream payment option. As Mike developed the concept, he actually had two problems to solve: 1. How can people purchase a single piece of content for less than $1? and; 2. Can micropayments be profitable? Armed with those two questions Mike set off on the journey to develop the software. Being a company of one, Mike engaged the assistance of a local software development firm. After sharing the idea of introducing a profitable micropayment system, the development began. In Part 2 we’ll discuss the launch of the technology and introducing iMoneza to the publishing industry.